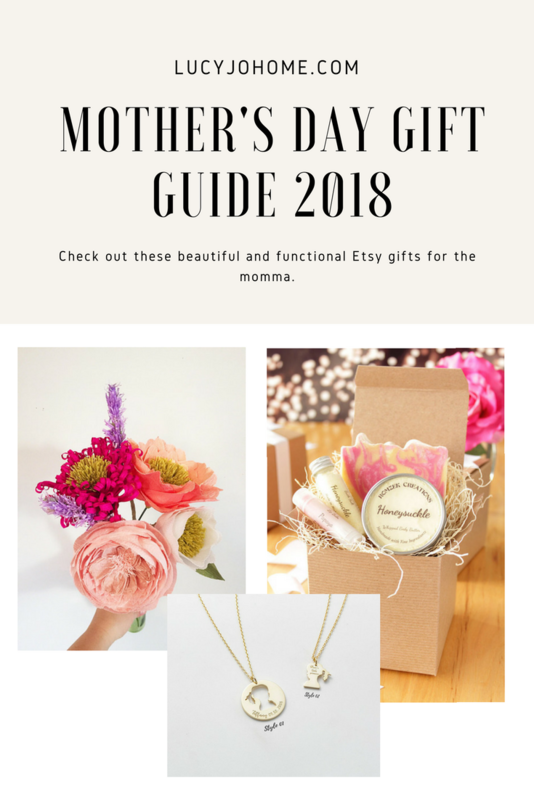 Mother’s Day Gift Guide 2018, according to Lucy Jo. Mother’s Day is always a time of reflection for me. Being a mother is all-consuming, and I rarely stop to simply enjoy this stage. God has been good to me lately because I have felt at peace about my life. I feel like I am on the right track; I have not felt that way for a long time. Nothing drastic has changed, but I think I have finally handed over the reins to God. I am content to keep doing my best and enjoying the moments I do have. After my dad passed away, I felt a sense of urgency and I found that I was running faster than I had the energy. I have asked God and my family to support my personal efforts and it has made all the difference. Instead of feeling like it is me against God and my family, I feel like only with them can I truly be successful and relish my personal progress. Here are some highlights of motherhood I have really been enjoying, by child. J is seven years old now and she is a sensitive, bright and happy soul. Her only problem at school is having people beg for her to play with them. 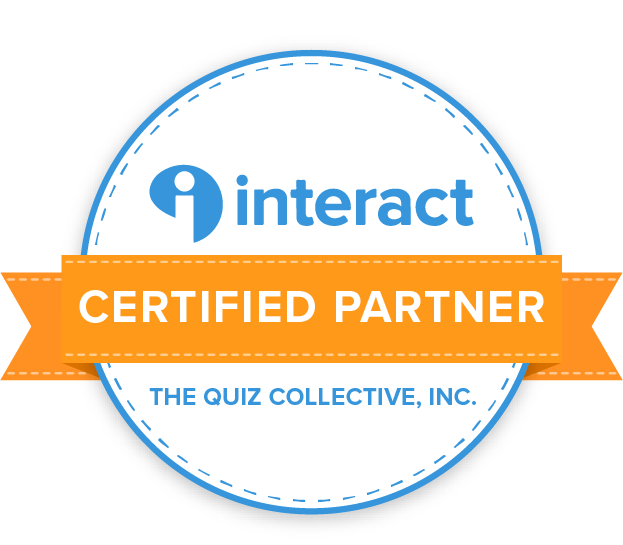 I know, rough life, but it has actually been good to offer some pointers on social tact. I’m not sure I should be the one doling out social advice, but she seems to be using the ideas with success. J continues to love and fight her little sisters fiercely. Being the oldest is no small task, and I try to be aware of how much I am asking of her. Tonight J said, “Mom, I don’t know what I want to be. I want to be a singer, a dancer, an animal biologist, and an artist.” She seems very concerned with choosing her future and she even said at dinner, “I’m stressed out.” O dear, I think that one came from me. She is growing up fast and we Cody reminded me of how big she is now when he shared a memory of her waking up from a nap abruptly and saying, “It’s coronation day.” This is only funny if you have seen Disney’s Frozen. M is three and is finally, praise the Lord for real, potty trained! Cody and I both predicted that she would be the one to decide when it would happen and we were spot on. She simply started going to the bathroom on her own. I had nothing to do with it. I am going to stress less with Brooklyn because she will likely be the same way. Life with M is changing and, like it was with J, I am enjoying her more and more. I took her to a fine arts night at J’s school and she was well-behaved and pleasant the whole time. We still have to work on emotional control and she still screams, but she will be super ready for pre-school in the fall. She reads Yummy, Yucky nearly perfectly. And when I say read, I mean she has memorized it. B is two and her personality gets stronger everyday. She is really good at make-believe play and reads her favorite books over and over. She will sit in her bed and read them to herself. She still has curly hair and still is obsessed with her blankie and bottle of milk microwaved for 30 seconds. No judging. Her big eyes and dimpled smile are a daily blessing to me. She insists on doing everything herself, even if that means she spills everything and makes giant messes. Yips )lips or lipstick is a constant request along with gum from her adopted grandparents. We got a trampoline and some of my favorite moments lately have been seeing my three girls running in circles like wild women of jumping together hand in hand. With the warmer weather we are all more happy! Can you relate to any of these stages? Are you recording the moments you want to remember? Some people are so good at that. I need to do better. Below I share some mother’s day gift ideas that I would not be opposed to receiving myself. 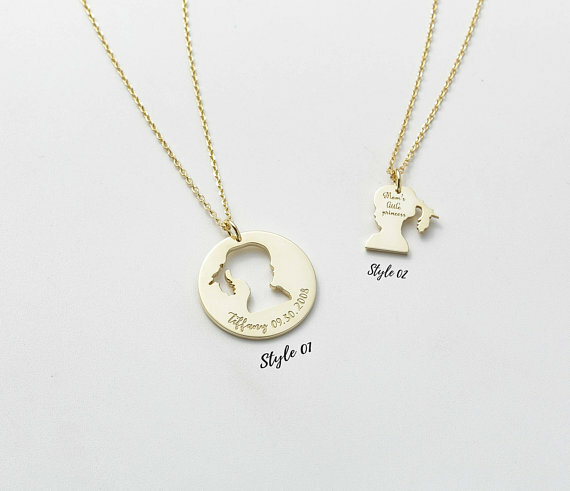 I love these necklaces. Pretty much anything customized with my children’s name and birthdate on them are a slam dunk. 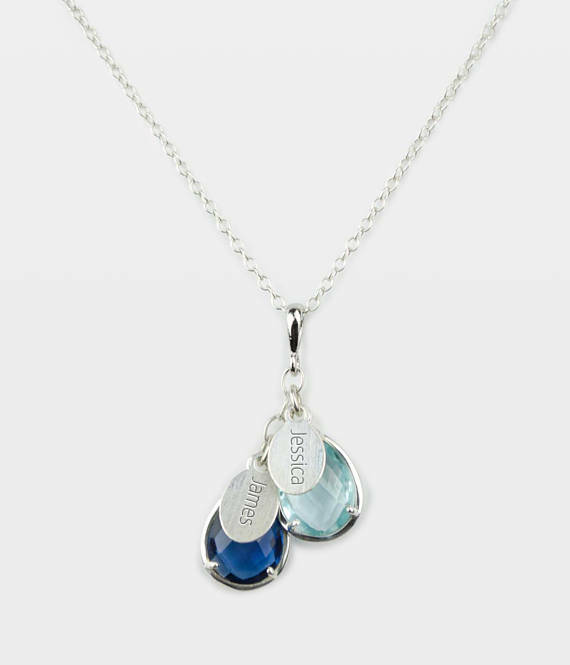 The top ones are unique because of the silhouettes and I love the birthstones for the bottom necklace. I love getting gifts that force me to think about taking care of myself. The reviews for the box are positive for the scents and the quality of the products. 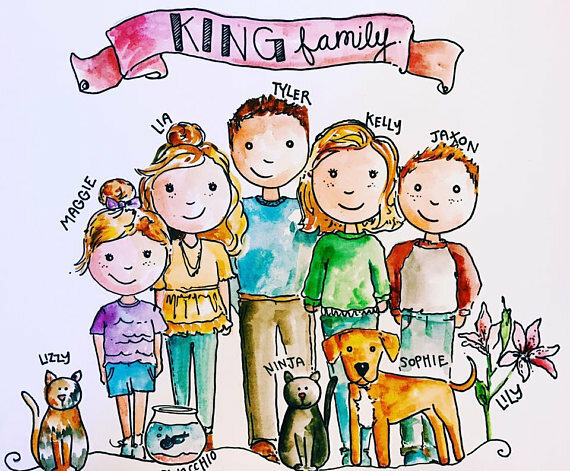 The family portrait above is actually made by a talented woman I know. 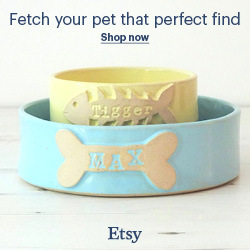 Check out Kelly King’s Etsy Shop by clicking on the image. Again, anything that is customized for my family is a win for me and most women. 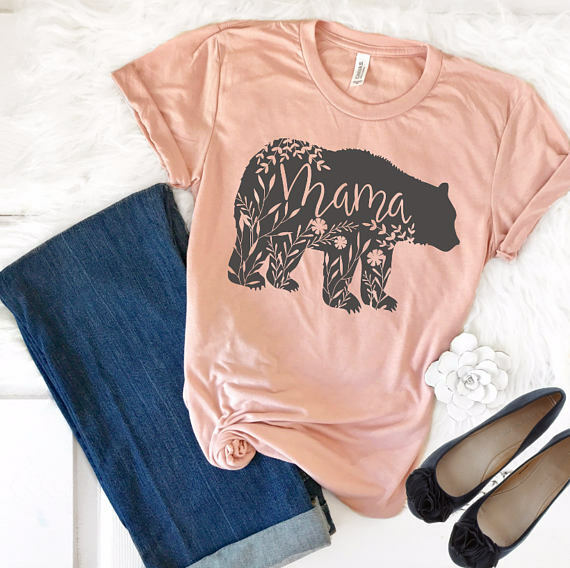 This mama bear shirt is super cute, comfortable (according to reviews) and has lovely color options! 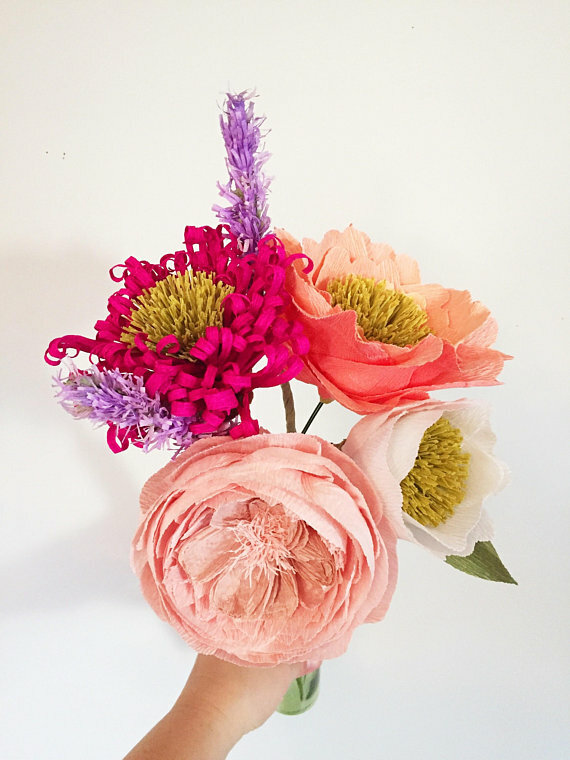 These paper flowers are stunning and will last a long time. 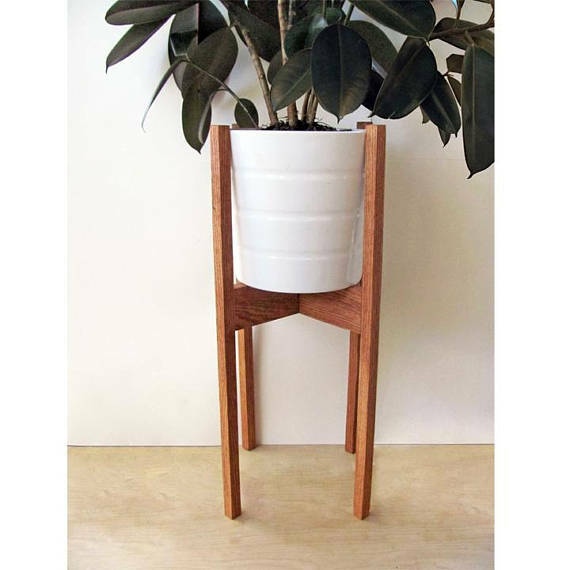 I have plants on the mind right now and I have been wanting to get a cool modern plant holder and the one pictured above is handmade and fits the bill. This dress is gorgeous, modest and custom made. Check out her shop to see more beautiful dresses. I would love a new dress for mothers day. I love that this is meaningful and functional. 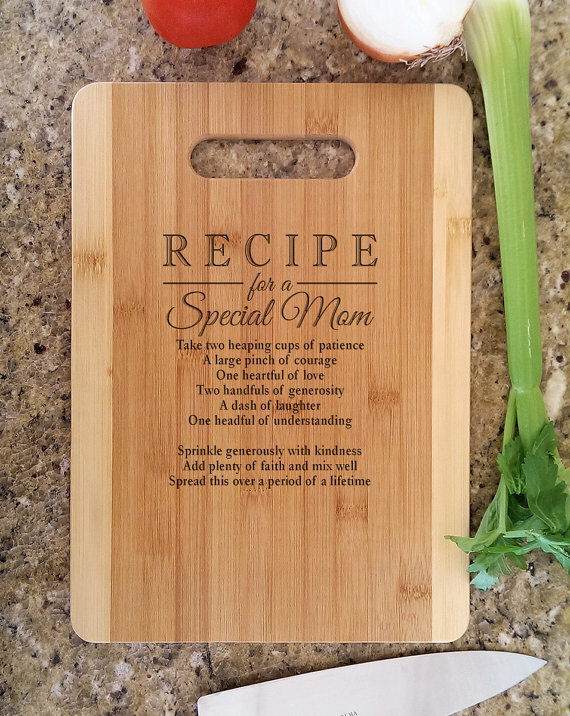 What mom wouldn’t want to be reminded that her children love her while she is making dinner? Give mom a day to do whatever she wants, no strings attached. Give mom a big hug and share your favorite memory with them or a trait you admire in them. Give mom the gift of a clean home or complain-free help. Brush mom’s hair or massage her hands/feet. Sing her a special song. Draw her a beautiful picture. I hope you are enjoying motherhood right now, in this moment. I especially hope you can enjoy it on Mother’s Day! Gift or not, the real gift is that you get to be around super strong and talented spirits as you go through life.